The Type1 Foundation aims to create awareness of Type1 Diabetes in the wider community, support individuals and connect families living with the lifelong disease…. At the Type1 Foundation, we raise money to fund our family support events and activities that provide invaluable support and connection to families living with Type1 Diabetes. From diagnosis right throughout the journey, The Type1 Foundation is available to support individuals and their families for no cost..
A Type1 Diabetes diagnosis can be both traumatic for an individual and it changes your life instantly, often in ways you wouldn’t expect. The impact can be felt right through family and friends. As much as you try, the diagnosis, and the disease can take over your life. 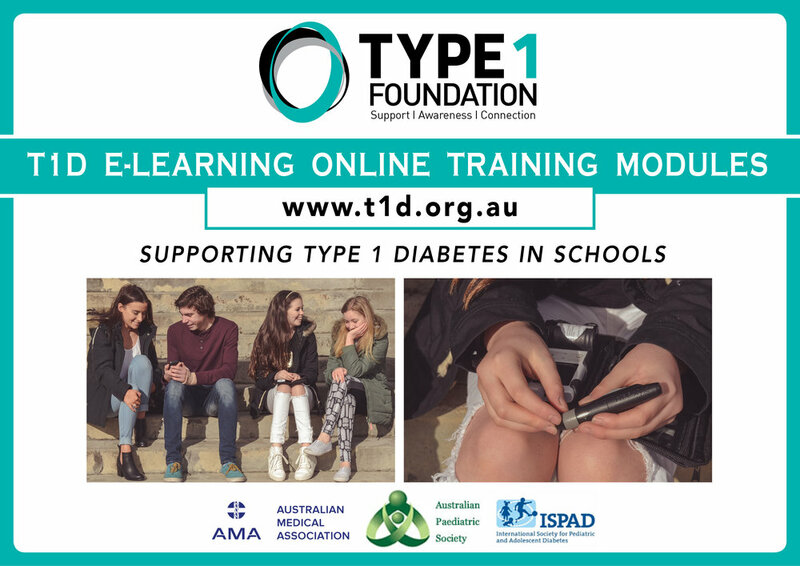 The Type1 Foundation Proudly fully funded the development of the T1D e-learning online training modules for schools. These modules provide school staff with FREE access to online educational courses nessasary to provide them with the knowledge to care for a student with Type1 Diabetes. Providing peace of mind of mind for parents and carers while their child is in he school environment…. The type1 foundation sends care packages all over australia to newly diagnosed children….